Roy Huxley is now semi-retired after 45 years of painting under pressure. 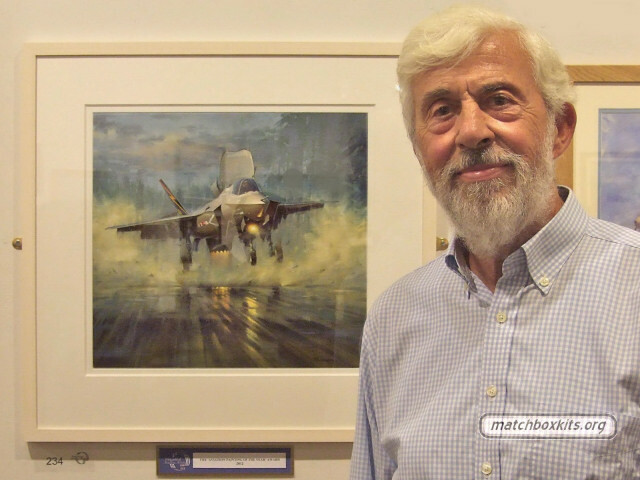 In 2012 Roy Huxley was asked to design a painting for the publicity of the Annual Exhibition of the Guild of Aviation Artists at The Mall Gallery, in The Mall, London in July. He submitted a painting of a Lockheed Martin F-35 (STOVL) which was called "A Lot of Hot Air", as there were a number of days spent in the British Parliament discussing which version they should buy. It was very well received and won him the "Painting of the Year" award, see picture. Meanwhile there are plans for a book on Roy Huxley's aircraft art by the master himself. We'll keep you posted.